Botox, Dysport, and Xeomin are cosmetic treatments that yield similar results. How do you choose what’s best for you? First, let’s understand what they have in common. They are all neuromodulators that block nerve impulses in muscles. The muscle activity that causes the lines in your skin is reduced, creating a smoother look. All three do this. And boy, are we glad they do! Who doesn’t want to look 5-10 years younger? Now let’s talk about what they don’t have in common. Dysport, by Galderma, is officially marketed as “temporary improvement in the look of moderate to severe frown lines between the eyebrows of adults less than 65 years of age.” Results take 3-7 days and last up to 4 months. It is less expensive per unit than Botox but you need 2 ½ to 3 units for every 1 unit of Botox. Dysport is purified differently making it easier to spread over large areas giving a more natural look. Galderma’s mantra is “fight the over done look.” One of the better perks of Dysport is less injection sites, which translate to less needle pricks for you. If you’re scared of needles you should consider Dysport. Xeomin, by Merz, is officially approved to “temporarily improve the appearance of moderate to severe frown lines between the brows and crows feet.” Results take 3-7 days and last up to 4 months. It’s less expensive than Botox and 1 unit of Xeomin is equal to 1 unit of Botox. Yay! It’s cheaper! There are no additives in Xeomin, which is great for people susceptible to allergic reactions. 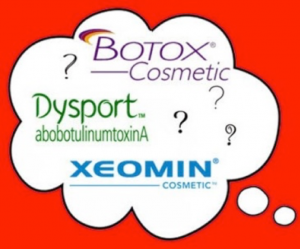 Xeomin is the purest form of Botulin Toxin A, making it potent and effective. Xeomin is stored at room temperature, which makes it less likely for you to get a weak dose. Comparatively, Botox and Dysport must be refrigerated and have a shelf life. All three products are very effective in reducing facial lines between the eyes, forehead and crows feet. It’s only a matter of which one works best for you. Choosing the right neuromodulator for you depends on your unique physical makeup and personal preferences. Some people get better results with Botox while others with Xeomin or Dysport. If you’re looking for a more natural look, then maybe Dysport is right for you. If you have a real stubborn line, Botox might be your go-to. If you are interested in saving a few dollars and tend to have allergic reactions, maybe you should give Xeomin a shot. Or, you could try them all over time and settle on what works best for you. Have more questions? We’d love to help. You can contact us or come in for a free skin consultation to learn what’s right for you. What is a Liquid Facelift and what is PRP Therapy? Better yet, which one is right for you? Vivia Center breaks down these two options for you. What is Baby Botox? Don’t be alarmed by the name! This treatment, also known as “Light Botox,” involves receiving a lower-than-average dosage of Botox in order to soften wrinkles while still allowing natural facial movement. Patients are aiming for a natural look rather than the “deer in the headlight” look that can occur when dosed improperly. Patients with deep wrinkles or strong forehead muscles certainly may require a greater number of units. The goal is to give you a natural look with some residual movement but eliminate or soften the horizontal forehead lines. Over-treating the forehead can cause the eyebrows to feel heavy. An additional benefit, lighter treatment is less expensive for patients. The goal is to use a low dose of Botox to soften the lines but still allows some natural movement. The effect will not last as long as a full treatment with Botox. Many patients come in looking for a subtle reduction of the forehead, frown lines, or crow’s feet wrinkles. The smaller treatments of Baby Botox work as a great preventative treatment and it is easier on your wallet. To learn about regular Botox, visit our Botox page. To find out more about what Baby Botox is, contact Vivia Center and find out if Botox is right for you. Enjoyed this blog? 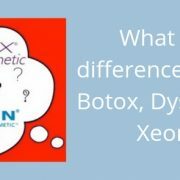 You may also be interested in https://viviacenter.com/dysport-vs-botox/. Pouty lips seem to be all the rage and many women are turning to dermal fillers to get the latest glamour girl look. While in the past collagen has been the most popular filler of choice, other cosmetic fillers such as Restylane™, Perlane™, Radiesse™, Juvederm™, and Sculptra™ are gaining in popularity. In addition to plumping up lips, these cosmetic fillers are part of the ever-growing arsenal in anti-aging skin care. They dramatically refresh and rejuvenate the face by filling wrinkles, folds and depressions, and in some cases they can actually lift the skin. What are cosmetic fillers and what are they made of? Dermal fillers are liquid or gel substances that are injected beneath the skin to plump up facial lines and wrinkles, and to hide deeper wrinkles around the mouth such as nasal labial folds–the crevice between the corner of your mouth and nose. They can also be used to fill in depressions that are commonly seen during aging, such as those in the cheeks. Most dermal fillers are composed of a form of hyaluronic acid, a natural substance already present in your body. HA has the ability to bind with the water in your body, which contributes to long lasting results. Results can last anywhere from six months to a year. How do dermal fillers reverse facial aging? These filler injections add diminishing plumpness and volume to your appearance. As you age, collagen decreases and your face loses youthful fullness and firmness. This is especially true around the middle of your face and cheek area where deep wrinkles and depressions can occur. When fillers are injected into these areas, the overall appearance of your face is the healthy, fuller and youthful look you had years ago. Nasal labial lines particularly contribute to a tired and aged appearance. Fillers are a great way to reverse this as they plumb the lines and camouflage the folds. How safe are cosmetic fillers? All of the fillers discussed here are FDA approved. 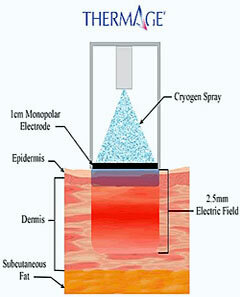 Since hyaluronic acid is naturally present in the body, the skin does not react to it. There have only been a very small number of reactions reported. These reactions may consist of prolonged but temporary redness, swelling, itching or tenderness. Most reactions have lasted for a couple of weeks. There may be some discomfort, as in a prick, but normally anesthesia isn’t necessary. Most people find the injections relatively painless. The exception is for lip treatments, which can be rather uncomfortable. In these cases, a nerve block is normally made. Immediately after the treatment, there may be a slight redness, swelling, tenderness or itching sensation at the treated area. This is a normal result of the injection and it generally disappears in a day or two. If you want dermal fillers for plumber lips, then you should expect exaggerated fullness for the first few days. Eventually, your lips will settle down to the luscious full look you’re after. If you would like to know more information on what cosmetic fillers are, visit our pages on Restylane™ and Juvederm. In as little as a few days, you can look years younger than you really are. Contact us to schedule your appointment. How does Thermage work? Thermage uses unique radio-frequency (RF) technology to reach deep into the dermis and subcutaneous tissue to cause tightening in the skin layers that matter most. First, we’ll walk you through the different layers of your skin and then show you how Thermage affects each of them. The collagen in your dermis and subcutaneous tissue is a protein that keeps your skin youthful and tight. But as you age and get more sun exposure, that collagen simply breaks down faster than your body can rebuild it, and your skin may start to sag or wrinkle. In response to collagen breakdown, there are many tightening treatments that operate by heating the inner layers of skin. But unlike laser treatments and other technologies that heat the superficial skin layers, Thermage uses unique radiofrequency (RF) technology to reach deep into the dermis and subcutaneous tissue to cause tightening in the layers that matter most. Deep heating. The deep heating of Thermage helps tighten the collagen in your dermis and subcutaneous tissue, while also stimulating the formation of new collagen. As a result, you’ll see tighter, smoother skin and improved tone and texture, starting immediately and continuing in the months following treatment. Integrated cooling. At the same time that Thermage heats the deep layers, it also cools the epidermis, keeping the surface of your skin safe during the procedure. As a result, your skin needs no recovery time, so you can quickly resume your daily routine. All from a single treatment. Best of all, you need only one Thermage treatment to get the full benefits. In fact, because it heats so deeply, Thermage is the only non-invasive procedure that helps tighten and contour skin in a single treatment with little or no downtime. Thermage is an easy way to turn back the clock on aging skin—on all skin colors, on and off the face. 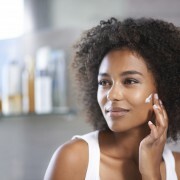 Browse the following skin conditions to see what applies to you. Then click on each treatment area to see how Thermage can help you rejoice in a younger looking you. Now that you know how Thermage works, learn more about it and contact us to set up your appointment! When many people look for ways to slow down aging, they often look for help with their facial wrinkles. If only they would go away, we could all look 10 years longer. But actually, it’s sagging and bagging skin that robs you of a youthful look. And those looking for a radical cure for progressive loss of elasticity and collagen often resort to a facelift. Luckily, there is a non-invasive solution that seemingly turns back the clock. Thermage treatments contour and tighten loose skin without invasive surgery or injections. Treatment doesn’t result in a dramatic transformation like you would find with a surgical facelift, but it does tone and redefine facial lines. Most importantly, it delivers the results you want – a youthful and energized appearance. What Areas of the Body Are Candidates for Thermage? What’s really exciting is that practically any area of your body can be rejuvenated with Thermage technology. On the face and jawline skin becomes firmer and tighter after treatment. Creases around the nose and mouth are softened, erasing years from your skin. And if you want even more pronounced and dramatic results Thermage treatments can be combined with Botox and Restylane. Around the lips, fine lines and wrinkles are diminished – without injections and fillers. During the procedure, college production is stimulated so that the lips look plumper and more youthful. When it comes to treating delicate eye tissue, Thermage is ideal. Under eye bags, crow’s feet, and hooding, all which result in a tired and weary appearance, are dramatically reduced. No bruising or swelling to the eyes occurs. Many people are thrilled to discover their “turkey neck,” that droopy, saggy skin on the neck area, is tightened and transformed. And while Thermage works wonderfully on the face, other areas of the body can be contoured and tightened as well. Thermage tightens and lifts the deep underlying tissues of the skin in the “jiggly” areas of the abdomen, arms, and legs. Successful treatment of cellulite occurs as well. 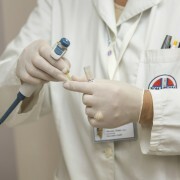 Even the hands look younger with Thermage treatments. Signs of aging are often first revealed on the hands. That’s because collagen there deteriorates very rapidly. With Thermage hand lines and wrinkles are diminished and replaced by a softer, smoother, and suppler appearance. How Does Thermage Treatments Work? Radiofrequency technology heats up the tissues of the terminus right beneath the skin’s top layer. This control key causes the skin to contract and tightened. As a result, the collagen is stimulated and over time new collagen grows and develops. This is significant because collagen keeps our skin tightened and contoured. Once it breaks down wrinkles and a loss of elasticity in the skin is the results. In addition to the fact that Thermage is noninvasive with very little downtime, it’s also ideal for all skin colors. And while laser treatments are useful for tightening the skin, Thermage heats much more deeply. That makes Thermage more effective at treating the collagen that is already there as well as stimulating the production of new collagen. If you’re interested in learning more about what Thermage is and Thermage treatments, Vivia Center can give you the details you need. We use the ThermoCool TC, a computer-controlled radio-frequency device, to tighten the skin without any injury to the epidermis whatsoever. No pain, no wounds, no more saggy skin. Visit us today! When Ponce de Leon began his search for the elusive Fountain of Youth, little did he realize that 500 years later the search would still be going strong. But now, instead of sailing across the seas, people are turning to their plastic surgeons in their search for eternal youth. Often the answer is Botox and it is as popular as ever. Since 2002, men and women have turned to Botox to smooth out facial lines and wrinkles. A protein derivative of botulism toxin, when low doses of Botox are injected into facial muscles, the muscles become paralyzed and relaxed. That’s what gives the resulting smooth appearance. However, there is a new kid on the block and Botox has been given a run for their money. A product called Dysport, also a neuromuscular blocking agent, has made the scene. Once known as Reloxin, it’s been used for about 17 years in over 20 countries. In April of 2009, the FDA approved its use in the United States as well. They’re both basically the same as they are derived from the same botulinum toxin. Both smooth out wrinkles and frown lines by affecting underlying facial muscles so they can no longer contract. This makes the muscle creases lay flat so wrinkles seem to disappear. However, there are a few differences between the two worth noting. One of the most important differences not only affects facial wrinkles but also your pocketbook. Dysport is considerably less expensive than Botox. While this is good news for consumers, Botox could find itself knocked out of first place. As for which gives better results, some reports state Dysport has a better spreading radius, meaning an equal amount of Dysport will cover a larger area than Botox. Since it covers a larger area, one treatment should be less expensive for most people. Also, Dysport yields quicker results. Some people have seen major improvement within a couple of days while Botox results aren’t easily apparent for 3 to 7 days. Of course, they’re always risks, but with both Botox and Dysport, the incidents of risky side effects are rare. It is possible to have an allergic reaction with both Dysport and Botox although Dysport seems to cause less of an allergic response. If you have pre-existing problems with swallowing, breathing, or speaking, using Botox can make them more severe. Also, with Dysport, because it has a better spreading effect, it’s possible the toxin could spread to unintended facial muscles. In that case, the side effects could be a droopy eyelid. Other side effects include swelling and redness, sore throat, headaches, sinus inflammations, neck pain, fatigue, and others, though rarely reported. If the correct dosage and technique are used, the risks are slight. Botox has been a huge player in anti-aging for some time, but now that Dysport has arrived, the Botox industry will likely become more competitive with their pricing. Now could be a great time to finally do something about those pesky wrinkles. If you have questions about Dysport vs. Botox treatments, the expert staff at VIvia would be happy to answer them for you. Simply call 703-556-8882 to speak to a member of our team of skin care professionals.